If you fancy exploring Switzerland at a substantially reduced rate this year then we would like to tell you about a fantastic 2 for 1 offer which is available for a limited period during 2012 to couples who book a Swiss ‘Signature Tour’ through Ffestiniog Travel. We are offering this 2 for 1 deal on the 4-day ‘Swiss Saver Pass’ and the 4-day ‘Swiss Saver Flexi Pass’ in both 1st or 2nd class for a minimum of two people travelling together at all times during the months of April, May, September, October and November this year. into Eastern France, Germany and Switzerland. The ‘Swiss Saver Pass 4 days’ allows you unlimited travel on 4 consecutive days on railways, boats and most alpine postbuses covering a network of over 16,000km. 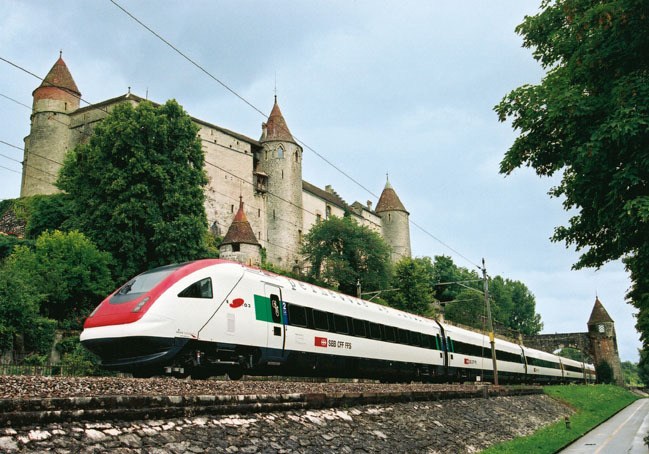 If you are thinking of a short-break to this wonderful scenic country we can arrange your return rail journey to Switzerland and accommodation and this promotion will automatically be included if travelling during the designated five months. We are happy to discuss and create a bespoke tour based on the region you are interested in. The Swiss Pass gives you the flexibility to explore the many stunning and romantic locations of this alpine country in full. The Pass also includes free entrance to up to 400 museums, free travel on transport services of 38 Swiss towns and cities and a 50% reduction on privately owned funicular and mountain railways. A 1st Class ‘Swiss Saver 4 days’ Pass costs £251 per person and a 2nd Class £157 per person. The cost to a couple travelling during the promotional months would be just this amount. The ‘Swiss Saver Flexi Pass’ includes the same benefits as above, but travel dates can be selected individually during the validity of the one-month pass and does not need to be used on consecutive days. It allows for more flexibility during longer stays in Switzerland. A 1st Class Flexi Pass costs £289 per person and 2nd Class is £181 per person which would be the full cost for a couple during the promotional period. Those with children may also be interested in the free Family Card which allows children aged 6-15 to travel within Switzerland free of charge if accompanied by one parent. A Family Card is available on request at the time of booking. We at Ffestiniog Travel take your privacy seriously. You have received this message because your address was placed on our mailing list when you purchased tickets from us. If you do not wish to receive further emails please respond to this message requesting that we remove you from our mailing list.